See below for Motorpoint Arena Cardiff events & concert tickets. Check address, transport & venue details. Buy Motorpoint Arena Cardiff tickets with confidence from LiveNation.co.uk. 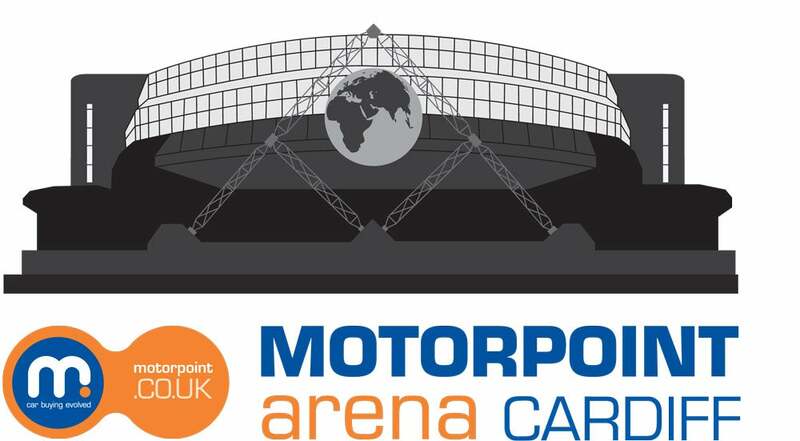 Motorpoint Arena Cardiff can be found in the centre of the Capital City, easily accessible by car, rail or public transport. From the west: Leave the M4 motorway at Junction 33 A4232. Follow signs for Cardiff Docks, then use map below into the city centre. From the east: Leave the M4 motorway at Junction 29. Follow map shown into city centre. Click Here to find the Arena on a map. The Hospitality Suites at Motorpoint Arena Cardiff give a whole new meaning to corporate entertainment. Situated around the arena, each of the 8 suites boasts magnificent views, offering a spacious and self-contained area to entertain guests. Parking is available at NCP multi-storey car parks around venue. Please visit www.ncp.co.uk for up to date information regarding available parking in and around Cardiff. The postcode for Motorpoint Arena Cardiff is CF10 2EQ. There are several car parks within walking distance of the Arena, two closest being Rapports NCP Open Air Car Park and St David’s 2 on Mary Ann Street directly opposite the Arena, St David’s 2 is open 24 hours and has 140 designated disabled spaces. Access to target audiences attracting in excess of 1 million customers in concerts alone each year. Access to Live Nation’s extensive databases. From brand awareness to experiential marketing expose your company or product to the captive audience. 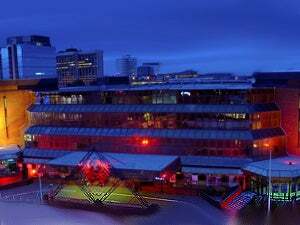 Cardiff is a vibrant cosmopolitan European capital, which is easily accessible within only 2 hours of London by train and its own international airport offering daily fights to the main capitals of Europe. Located in the heart of Cardiff City, the arena is conveniently situated for all the city’s hotels and amenities making it the ideal venue for event organisers and visitors alike. The Motorpoint Arena Cardiff is a multi-purpose venue; hosting everything from major International music shows, Business Exhibitions, BAFTA Award Dinners amongst many more events. With over 5,000 sq. metres of fully integrated event space under one roof, the building was designed with the event organiser in mind. The main arena can offer flexible layouts for 500-4994 delegate and banqueting for 350-1200. In addition, by utilising our acoustic drape, we can accommodate dual conference and exhibition events within the main arena. We offer a further 31 well appointed function rooms ideal as syndicate and catering areas to accompany the main arena or perfect for the smaller individual event, which includes a range of executive boardrooms and Suites. New inspirational menus are now available offering a sensational and varied selection to entertain your taste buds. Visiting Cardiff for a major sporting event, the Arena is located within only minutes walking distance of the Millennium Stadium making it an ideal venue for corporate hospitality. Customers should contact the venue on 029 2023 4500 or customerservicecardiff@livenation.co.uk after the event. Any items left/found at the venue will be logged and kept for one week after an event, after one week items will be given to charity. Lost/left items can be collected from the venue by prior arrangement, however we are unable to post any lost items. Are pushchairs allowed into the arena? We always allow pushchairs into the arena. On arrival you will be able to leave your pushchair in our cloakroom (free of charge) to be collected at the end of the show. Standard compact cameras are permitted. You will not be able to take in professional/long lens cameras. Selfie sticks are not permitted. Video cameras/recording equipment and recording of the performance are not permitted unless prior consent is gained. Please note that on occasion promoters may request a ban on all photography in which case cameras will be confiscated and available for collection at the end of the event. We also recommend that if you are planning on bringing an I-pad or if you are unsure whether your camera would be permitted then please check with the venue prior to arrival to avoid disappointment. Patrons bringing cameras and electronic equipment into the venue do so at their own risk. Can I bring food & drink into the venue? No food or drink items can be brought into the venue. However, there are concessions inside the venue from where food and drinks can be purchased. Can I pay by credit/debit card at the food & drink outlets? Unfortunately, we cannot accept cards. All transactions are cash only. However, there is a cash machine on site and directly opposite the venue for customers to obtain cash. Can I smoke at events in the arena? From 1st July 2007, smoking has been banned in all enclosed public spaces. Anyone found smoking anywhere within the venue will be requested to leave without refund. Patrons will be allowed outside to smoke at a designated time provided you have your ticket with you to be scanned on exit and re-entry. Certain events may have a specific age restriction. Please check for age restrictions at the time of your booking asrefunds may not be given. For all other events, children aged 14 or under must be accompanied by an adult when attending a concert. What facilities are available for disabled customers at the venue? We aim to provide the best possible Live Experience for all of our customers. We have a dedicated team of operators and stewards who will be happy to guide you through the facilities we offer. Please see the Live Access contact details in our Additional Venue Information section. Do you provide a cloakroom facility? Enjoy a starter and main course at our L2 Restaurant & Bar. Your L2 upgrade includes early entry into the venue, cloakroom facility and L2 bar access during the show. Ask at our Box Office on 029 2022 4488. Restaurant opens from 5pm.